If you have played and modded Skyrim for any amount of time, you might have heard of the massive modding project that is Beyond Skyrim. This is a multi-team mod project with the goal of expanding the borders of the game world - you guessed it - beyond Skyrim, adding entirely new provinces from Tamriel to Skyrim's game world for you to explore. Today we are talking to Bellatrix, MrJGT, 1shoedpunk, 1ndajone5, Lasur, and Daniel Ran from the team from Beyond Skyrim: Cyrodiil﻿ - creators of Beyond Skyrim - Bruma - who have been working on the province known as the heart of the Empire featuring the Imperial City. Most modding enthusiasts who have been around a while will have heard of Beyond Skyrim. However, for those who are yet unaware, how would you describe what Beyond Skyrim as a whole is and how Beyond Skyrim: Cyrodiil fits into it? Bellatrix (project co-lead, dungeons and interiors lead): Beyond Skyrim is a collaboration of modding teams who are aiming to create the lands outside those covered in Bethesda official Skyrim content. The ultimate goal of all of our teams is to create a single end user experience allowing players to travel around Tamriel in as immersive and seamless a manner as possible. We currently have teams working on the provinces of Cyrodiil, Illiac Bay (High Rock & Hammerfell), Morrowind, Roscrea, Atmora, Elsweyr and Black Marsh. 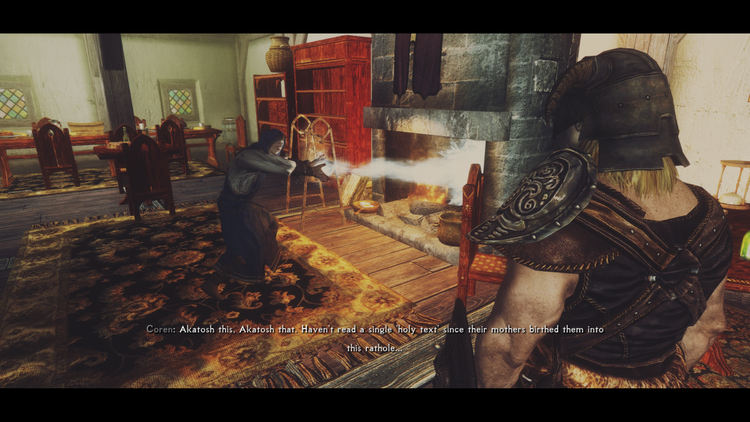 All the Beyond Skyrim mods are set in the same time frame as the events in Skyrim, so for example, you’ll get to see how the assassination of the Emperor plays out in Cyrodiil, the effects of the Great War, etc. From snow-covered mountains, and the seat of the Empire, to the gold coast, Cyrodiil is a quite diverse province. 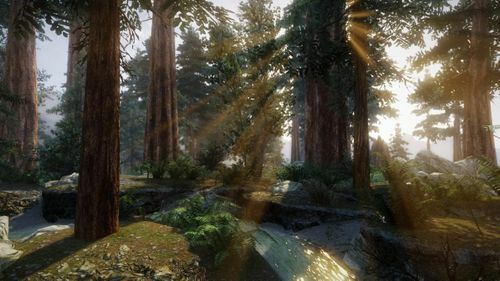 What would you say are the most stand out aspects, environments, and locations in your version of Cyrodiil? MrJGT (exteriors lead): That’s really difficult to answer as A: we don’t have the whole province landscaped yet and B: we are constantly working to improve areas (with our current focus being Colovia) we have done, although I do have a few favourites. I love how the Great Forest is turning out, Firenight (the landscaper working there) is doing an amazing job with it and it looks seriously spectacular and I can’t wait to see players get lost in it. The Gold Coast, landscaped by Nafnaf, also looks amazing and has a wonderful Mediterranean feel to it that really makes you feel you aren’t in Skyrim anymore. I’m also loving the cities that we have already got in game and am really excited to show them off in the future. I do have a bit of soft spot for Bravil though (little biased there as I worked on it) but it has a really dingy, slummy feel to it that reminds me a lot of its Oblivion counterpart. 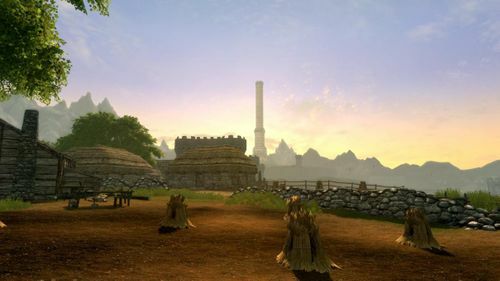 Cyrodiil was the setting for the events that unfolded during the main story of The Elder Scrolls IV: Oblivion. For those who have played Oblivion: what will it be like to revisit the province now that 200 years have passed since then? MrJGT: The Cyrodiil in the Fourth Era is a Cyrodiil that has suffered. Since Oblivion things have gone downhill, the Empire has crumbled leaving it with only half the provinces it had at the time of Oblivion, the Dominion has risen and sacked half of Cyrodiil before being fought to a stalemate in the Great War. 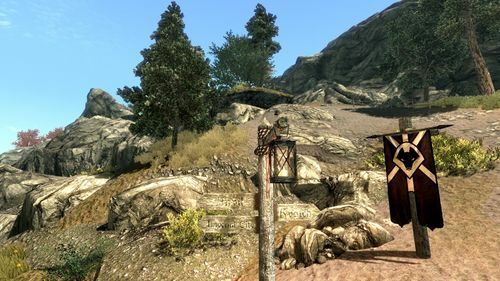 This event has probably influenced our Cyrodiil the most leaving scars on not just the landscape but also on the psyche of the people. The heart of the Empire lies within Cyrodiil, but given what we know from Skyrim's lore, their power is waning during this era. How does this inform your design decisions? Can you give us a bit of an insight into the story you will be telling (without spoiling anything)? 1shoedpunk (project co-lead): The Empire is still an empire but it’s definitely losing its influence. With over half of the provinces either under Aldmeri Dominion influence or completely outside of the Empire, Cyrodiil is one of the last true bastions of Imperial Society. We’ve tried to look at real-world examples of empires losing influence as well as historical examples of what has happened in Tamriel when there hasn’t been a clear united leadership. Cyrodiil is a generation removed from the Great War, so you see a lot of factions who are trying to exploit nostalgia for a united Empire as well as factions who want to try building something new and different. There is a bit of meta-commentary in there - with us building the province to be recognizeable but also wanting to leave our own mark on it. What new factions can we expect to see and interact with in Beyond Skyrim: Cyrodiil? How are they different from the ones we know from Skyrim? MrJGT: There will be some of the classic factions we have seen in other games like the Fighter’s Guild and the Knight’s of the Nine as well as factions that replace those seen in previous games like the Synod and College of Whispers that formed out of the dissolution of the Mage’s Guild. We have also introduced our own factions the player can join like the Resistance, a sneaky underground movement bent on removing Thalmor influence from Cyrodiil by any means necessary. The Thieves Guild will also be making a return in a novel way that we hope players will enjoy. 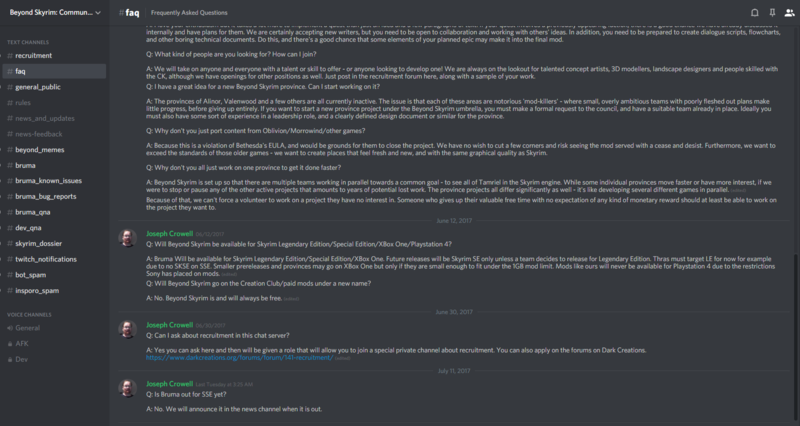 Lasur (quest design director): To add onto what MrJGT said, we're putting a lot of effort into our faction questlines. They're (as with almost all of our quests) going through a long phase of 'paper' design/writing and peer review before implementation to ensure that the narrative and quest design we're providing is as strong as it can possibly be. And in terms of length, we're aiming for something closer to the lengthy questlines The Elder Scrolls IV: Oblivion provided rather than the comparatively short storylines of Skyrim. We also have some plans to use Radiant quest technology in more creative and novel ways to really sell the fantasy of, for example, being a mercenary in the Fighters Guild - while also not shortchanging the handcrafted/narrative-heavy questing experience. Maintaining a consistent and convincing conversation experience must be difficult given the disparate nature of the team. How have you all handled these challenges? 1shoedpunk: Lasur Arkinshade has been heavily involved in working directly with the actors, so he tries to give the voice actors as much context as possible for their lines and how the player will hear them. Since many of our actors are familiar with Skyrim, they have a good idea of how the end result will play in-game. Lasur: Voice acting is a challenging part of game development, even for AAA game developers. For modding, obviously, it's even harder, since we aren't able to pay actors for their time and we don't have access to third-party casting agencies. In that regard, I think we've been quite lucky - when we first put out a casting call for Bruma in 2014, we had a lot of extremely high calibre and experienced actors approach us. I think that, as well as the release of Bruma, triggered something of a snowball effect - our credibility increased, and so did our ability to attract high-quality talent. The other side of it is direction, and in that regard, I do my best. We try to annotate our scripts with as many contextual notes as possible to ensure that the actors understand the context and are able to deliver an informed performance. We try to avoid micromanaging, though, and trust their judgement - creating a character isn't just the writer or voice director's job, it's also the actor's, and each actor definitely brings something unique to their roles when well-cast. It's an organisational challenge, given that the cast is scattered across the world, and I'll admit that I've made my share of mistakes during the learning curve associated with taking this on for Bruma, but the cast and I tried our best, and I hope that effort shows in the performances that can be found in Bruma. We're doing our best to top this for the rest of Cyrodiil, and have cast some great (and surprising) talent, but as always, the audience will be the judge when we release. Music team: Oblivion's soundtrack has had a deep impact on many of us, myself included. What can we expect from the new score? Daniel Ran (lead composer): The Bruma soundtrack, which will play in Cyrodiil, did a lot to blend the styles of Skyrim and Oblivion, particularly by including themes from the latter. We have another two hours of music planned for the entire province but my primary goal now is to portray our own take on the various places in Cyrodiil, particularly its cities, and to enhance the stories we're going to tell. The style should still be instantly familiar to players but it has a wider scope of instrumentation and expression, and since the tracks are smaller in focus, they have more freedom to be unusual or just individual, especially when compared to music that has to work for a very wide range of areas and situations, like exploration tracks. I'm already well into composing the new themes and I'm excited to see where our incarnation of Cyrodiil will take me. There's always going to be some overlap between my style and Soule's, I think, since we have such similar influences, but now I think it's important that Cyrodiil gets its own identity. From cliff racers to horkers - wildlife has always played a huge role in defining the setting of the various Elder Scrolls titles. Are there any plans to revisit familiar flora and fauna from Oblivion? Can we expect some surprises? 1shoedpunk: We're making an effort to bring back equivalents for all of the animals and plants present in Oblivion, plus a bit extra. For the plants and ingredients, we've tried to create new recipes and new alchemical properties to complement and enhance the existing system in Skyrim. We've reintroduced alchemical properties such as Feather and Burden, as well as adding back in Water Walking as a property the player can add to potions. Many of our new recipes (along with new food models) are present in Bruma, but expect to find many more in the full mod. With a system for dogs present in Skyrim, we have a couple new breeds that the player can adopt. There's also plenty of different farm animals like sheep and cows that we've added in to make farms feel a bit more alive. As we work people get ideas about what new animals might make sense for the climate, so the current population isn't set in stone. 1ndajone5 (arts lead): One thing we’re not planning to add is Shivering Isles ingredients and plants. But you will have the opportunity to meet again one of its monsters. Is optimisation a concern? Obviously, it's early, but are you shooting for a particular goal regarding system requirements? MrJGT: We are aiming for the same requirements for the Special Edition version of Skyrim on the PC. Unfortunately, due to space limitations on consoles, we won’t be able to bring the whole of Cyrodiil to either the Xbox One or PS4. Such huge projects with myriads of volunteers must be particularly difficult to manage. That being said, how do you guys organise development? Bellatrix: We have a roadmap for what we need to do to finish Cyrodiil, but as it’s a volunteer project it needs to be quite flexible to accommodate having more or less help than we’d anticipated. Once we have concept art for a town, we will start the 3D modelling as soon as we have someone free to work on it. Writing and exterior design follow on after that and once the exterior and inhabitants are finalised, interiors get to work. Quest/NPC implementation is the final stage and then we start to playtest / bugfix. Now that Bruma is out and the team has grown, we’re able to develop several areas in parallel. For organisation we largely use Trello boards to track progress and discord for communication (and some amazing WIP eye-candy). The great thing about the team is we’re all in different time zones so there's always someone around if you need a hand. What would you say have been the most valuable lessons you have learned during the entire development process so far? MrJGT: It’s something we joke about now but we’ve learnt to be very careful with release dates after originally announcing Bruma for a Summer 2014 release. I know we got a lot of hate from fans for doing that and not releasing for another 3 years but now Bruma is out and if you look at how it was in Summer 2014 people would be glad we did put the extra time in to make it better. Bellatrix: That navmeshing takes a lot longer than you think! 1shoedpunk: Early on in the project, when it was still in a formative stage, I managed pretty much all the departments. There was a pretty good idea of the scope and scale of what we were doing that hasn’t changed much since then, but with a much smaller team, it was easier for one person to manage everything. As we grew, it was clear that that wouldn’t work for a project of this scope and that it would only be successful with a strong management team. Finding leaders in the project who were able to keep things in scope and who could run their respective departments way better than I could was difficult but necessary. Lasur: Take nothing and no one for granted, trust in others' judgement, and manage scope very carefully. More than that, though, Bruma was essentially a vertical cliff face of a learning curve, but having ascended it we're now in a much better position to work efficiently. We know what needs to be done, and we have a working content pipeline. Tools like Git for version control, Trello for issue tracking and management and others have been invaluable in helping us to hone those workflows. But it's also little things, like figuring out workflows for the creation of VA scripts, effective ways of formatting branching dialogue in a text document, and learning what is possible/impossible, advisable/inadvisable, and easy/hard in the engine have allowed us to become much better at creating content rapidly and minimising last-minute cuts and reworks/wasted effort. Can people still join the project? If so, what would be the best way of going about it? Bellatrix: Absolutely! 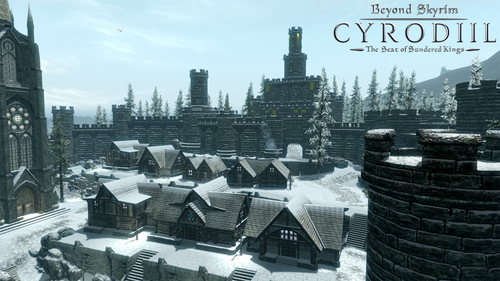 If you’d like to join Cyrodiil specifically, please sign up at https://beyondskyrim.org/projects/cyrodiil/. We’ll review all applications, but we’d especially love to hear from any navmeshers or people who are familiar with quest implementation/scripting as they’re currently bottlenecks for us. Lasur: Adding onto this, while we get a lot of applications for writing and VA, we're always looking for new writers and to expand our voice cast. Just be sure to include samples of prior work! A big thank you to the Beyond Skyrim: Cyrodiil team for taking the time to talk to us. As always, if there's an author or mod project you'd like to know more about, send your suggestions to BigBizkit or Pickysaurus. Oldrim's 32 bit engine simply cannot handle exceptionally large worldspaces/maps like Cyrodiil. The full release of BS: Cyrodiil/other Beyond Skyrim mod projects won't come to X-Box One due to Micro$oft's 5 GB space cap for mods. PS4 users are entirely SOL when it comes to any Beyond Skyrim content due to Sony's outright ban on any external assets in mods for their platform. That's from 2017. I was relying on the same outdated information you're referring to. The information posted above by phillipjohnmc is much more recent. Yeah, it'll be a while before we see anything, which is fine. There's some other modders doing interim projects we might see sooner. 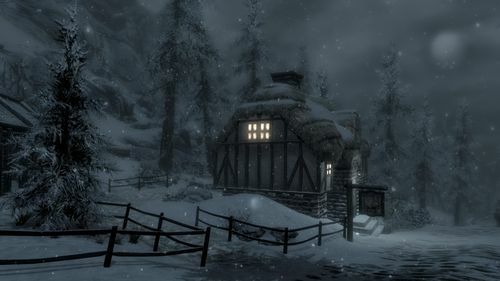 I'd really like to see someone release some work with Skyrim's eastern border... (there's one project on Nexus already but it's landscape only at the moment - towns and quests and such are a long ways off). The western border has Beyond Reach, which may not be perfect but has reached a pretty playable and stable state, so it'll do until we see Illiac Bay (which might be a very long way off given it's TWO provinces). Atmora I was excited for before. No idea where they're at now, because they were originally hoping to release in early-mid 2018. We'll see, I suppose. You're right that we're still a long ways off TES6. First, no one knows what they're going to do with the disaster that is Fallout 76, and they're still meaning to launch an entirely new flagship franchise before getting to TES6 (can't recall the name at the moment). I assume we're looking at 1-2 years minimum before they even start WORKING on TES6, let alone releasing it. In response to post #66387126. In response to post #66107861. In response to post #65374531. In response to post #65327026. 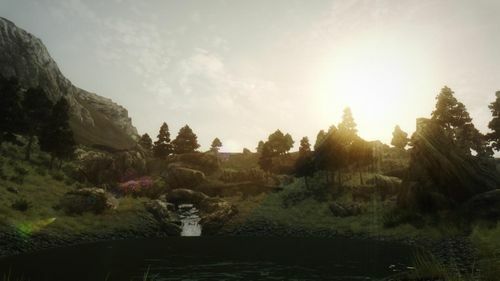 SmedleyDButler wrote: I think that the most disappointing aspect of the BS project was the decision to move entirely over to SSE, even though several years of work had already been done in LE, and - regardless of which version any of you may personally think of as better - the numbers still show that over two thirds of the player base are sticking with LE and that this is not changing much over time. I understand the point being made that many of the modders are doing this for themselves first and fans second, but I can't imagine that the BS team is entirely made up of people who don't care much about seeing their mods played and enjoyed by others. I know that when I release mods, the more people who have access to my mods, the better. So cutting out two thirds of the player base seems like a very odd decision. But perhaps that's just me. Anyway, in the Good News department, I'd like to mention that Rigmor of Cyrodil is going to be released very very shortly, if not tomorrow. Just one more demonstration that when it comes to ambitious mods. Modest goals, pursued by a small, dedicated team - or even one person working alone - have a much greater chance of success and release, hinting that perhaps focus is more important than actual hours worked, or the size of a given team. you have a source for that population claim? because if I go and look on steam right now it's pretty even. and then steam charts claims that it's pretty much a 50/50 split. No, you're right; my numbers were out of date. However, the same Steam Charts show that both editions of the game have been about even for nearly a year. I think that the argument that going SE is unnecessarily exclusionary still holds up with 50% instead of 66%. It's a matter of necessity, not which version's player base is bigger. Oldrim engine wouldn't be able to handle a new full-blown province added. Which is funny, because the project (and many others) were undertaken on the assumption that the engine could handle another province just fine, and 5+ years of work were done under that assumption. Nor is the BS team the only group to have undertaken a project of similar size and not one of the non-BS parties has ever made that claim. If they'd said they changed the because they wanted to, that's something else. Make the mod you want to make, sure, whatever. But trying to bolster a justification with a claim which directly contradicts their own words and actions of the previous several years is... questionable. They've directly claimed that they cannot do it on oldrim mate. You're literally just repeating an earlier post with nothing new. So I will also repeat myself too: If it was impossible in Oldrim, then why did they spend 5 years working on it in Oldrim, with the expectation that it would be released for Oldrim? It only became "impossible" after SSE dropped. You don't want to make it for Oldrim, sure. But don't lie about why. This is actually very good news and the first I'd heard of this anywhere. I'd given up following the project very closely after the announcement that they were going to move development entirely to SSE, which frankly seemed very firm at the time. I expect that's why the streamer doing the interview is also surprised. Whatever internal discussion took place, well, thank goodness they changed their minds to revert to the original plan. I suppose this is another confirmation that development of such large modules all within Oldrim is perfectly feasible. If you are not happy … go play some other game and annoy them. I think that the most disappointing aspect of the BS project was the decision to move entirely over to SSE, even though several years of work had already been done in LE, and - regardless of which version any of you may personally think of as better - the numbers still show that over two thirds of the player base are sticking with LE and that this is not changing much over time.